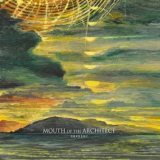 In his review of Mouth of the Architect's third album Quietly, my colleague Alex remarked that sludge is a good pick for a solid American contribution to the metal genre, and listening to Dawning from the same band five years later it's hard to disagree. Atmospheric sludge (or 'atmosludge', if you're me) hasn't always made a great name for itself, sticking to rather a clichéd sound that sees newcomers pigeon-holed immediately into the 'Cult of NeurIsis' sound – the likes of Amenra often deserving it to an extent, putting their own spin on the genre but not moving far enough away to carve their own identity out. Yet there are a few bands that bypass this such as Georgia's Kylesa and Sweden's Agrimonia, well-known and woefully-underground respectively, that are tunnelling their own path. And then, of course, there's the likes of Ohioans Mouth of the Architect, who don't move a great distance from their influences but play the style so well, so full of emotion and with such epic results, that you can't help but find them endearing and enjoyable. Dawning, the band's fourth full-length, takes steps away from the experimental The Violence Beneath EP of 2010 towards a more steady and grounded tone. It'll take a few listens to really get to grips with it, to see beyond the initially confusing repeated themes and become enveloped in its the pleasantly oceanic depths. Yes, this is exactly the sort of writing that this music inspires; lengthy, with flowery metaphors and pseudo-intellectual waffle! But that's the sort of reaction that this music inspires, and although the opening to first track Lullabye doesn't quite work, the grating clean vocals anything but inspirational, the following instrumental surge more than makes up for it. And the album only increases in quality from then on, It Swarms' opening riff sounding more like a violin than a guitar, the ensuing crunch and battering drums building up to a melodic peak with far better clean vocals. Sharpen Your Axes opens with a compelling melodic motif atop complex backing percussion and a particularly Neurosis-esque vocal mix, building up in heaviness, and although the eleven-minute How This Will End struggles a little at its opening moments, the slower and more droning melodies have a hypnotic effect that makes the length fly by. Although I think the best days of post-rock and metal are (ironically) behind it and the mini-genre's foray into other genres represents the best chance it has to create new, original musical experiences, there's no denying that when done well post-metal can be very good indeed, and it would be an injustice to Mouth of the Architect if this album didn't pop up on a few year-end best-of lists here and there. Originally released back in June, it's taken me a while to write this review, although I've attempted at least once a fortnight since. This may just be because I'm a terrible writer, but I prefer to think that it's due to the album being hard to really tie down; pleasant both as general, absent-minded, background music (the melodies in, for example, Patterns flowing through your subconscious very well) and as a focused listen where the cleverness of the band's rise-and-fall structures becomes more apparent. This will age well, I think, and Mouth of the Architect will be given more attention when people look back on the era than they receive now – there's no reason to skip them now if you enjoy the style, however, and although Cult of Luna's Vertikal is the better, more original album from this year, Dawning is very good. Hopefully their next album will take them and this odd little subgenre to new places.